Tracey has great taste in homes..
… She will find you your Dream Property! Where will you find an “off the market” property? Tired and frustrated searching for a property? Tired and frustrated searching for the right property? Moving on or Moving in … Let’s Make it Happen! Is Tracey the right Buyers Agent for you? It is expensive enough choosing the wrong Buyers Agent, let alone not using one at all. Tracey only takes on one client at a time with the same brief, you are always Exclusive. She provides privileged access to many more ‘OFF MARKET” properties. Tracey will not let you pay one dollar more than you should. You deal with Tracey 100% of the time. Tracey has access to over 500 agents in the East, all showing Tracey off market properties. The absolute lowest price will be negotiated. You will save on time, stress and money and will not look at unsuitable properties. Totally unbiased professional advice is provided with a guarantee of no conflict of interest. Success fee is only payable upon success. 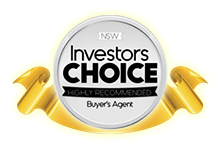 Tracey Chandler, Exclusive Buyers Agent is the best in the business, she is the leading Sydney Buyers Advocate, finding property buyers their perfect home or Investment Property at the right price in the right location. Whether you’re looking for a new home or investment property, Tracey has access to privileged “off market properties” that puts her well ahead of the pack when it comes to finding quality Buyers Advocates in Sydney. You deal with Tracey 100% of the time and are given the red carpet treatment, you are not passed down the chain, Tracey is the Founder/Director and has her clients interest at heart, not her KPI/target like most other firms have – that is Tracey’s point of difference. Experience is king, if you don’t buy and inspect properties every single day, you WILL make a mistake. Every part of the property buying experience has advantages that would never be possible when buying a home for the first time or even every 7-10 years. Want to know more about Tracey?